You recognize Mrs. Barton, Minx? won second prize. These are the six prize winners and the booty. 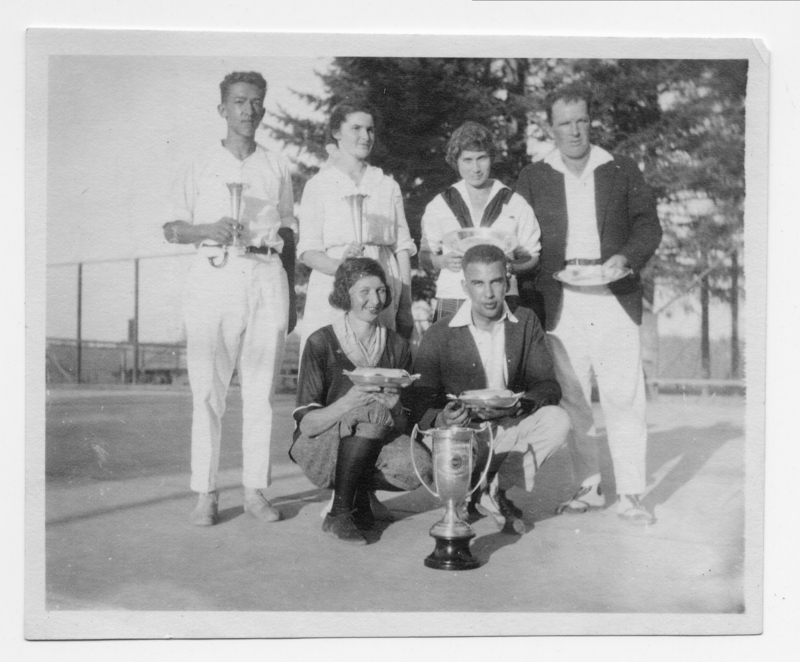 Winning tennis team, Lake Oswego, c1922. Standing in back - Margaret Hamilton, sister of Rosella H. Woodward. Transcription You recognize Mrs. Barton, Minx? won second prize. These are the six prize winners and the booty. Winning tennis team, Lake Oswego, c1922. Standing in back - Margaret Hamilton, sister of Rosella H. Woodward. Physical Description H 3.25" x W 4"